Blogger blogs are not only fun to write, they can be optimized for the search enginesto maximum their viewing potential, therefore bringing you more money in terms of affiliate sales and adsense clicks. Blogger have come a long way in the past couple of years, with added templates that can make your blogs look really professional. Learn how to maximise your bog's revenue potential with some simple to set up optimization techniques, that may seem daunting at first, but once done, all you have to do is add more content, which you can do at your own pace and at your leisure, knowing that the search engines will immediately pick up on your changes and hopefully send you more viewers. Assuming you are doing this from scratch, you will need to choose a name for your blog. 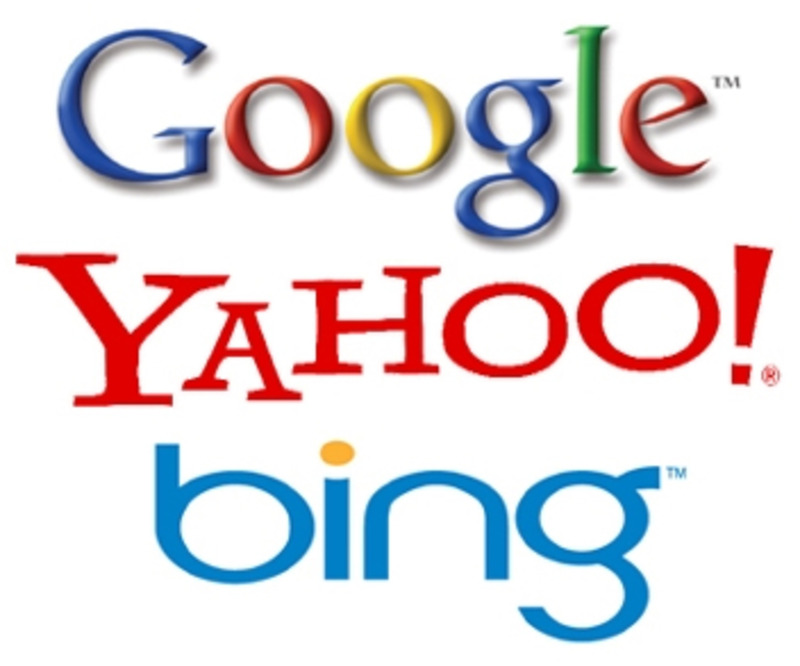 Just like on Hubpages, you will want your chosen keywords to be in the title and the URL. When you click on 'Start a New Blog' you will see a field to input your blog title and URL. Try the URL first - there are millions of bloggers out there - you may not be able to get your chosen URL. If the URL you have chosen is already taken, try variations of the words, or add underscores or dashes to break the words up. If you still can't get that URL, add a number. 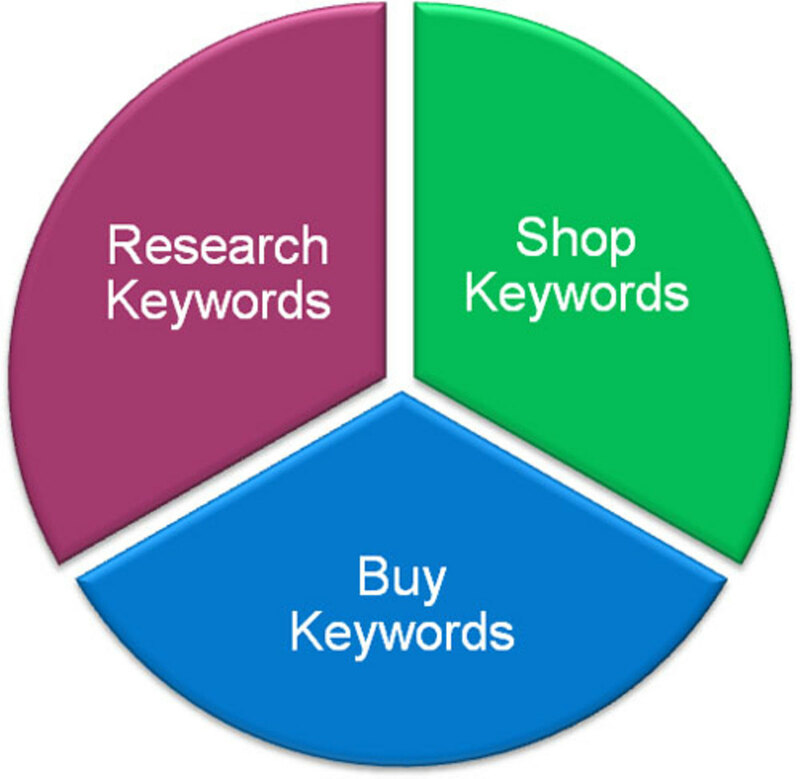 For SEO purposes, the search engines will more or less ignore the number and just see your main keywords. Once you have your URL, add in your title, and proceed to next page. The next page takes you to the design page where you can choose from a wide range of backgrounds and styles. Play about a bit until you have chosen a template that you like, or that you think suits the subject matter. It is from the Design page that you add your own background photos, or banners, or anything else you can think of to jazz up your blog. 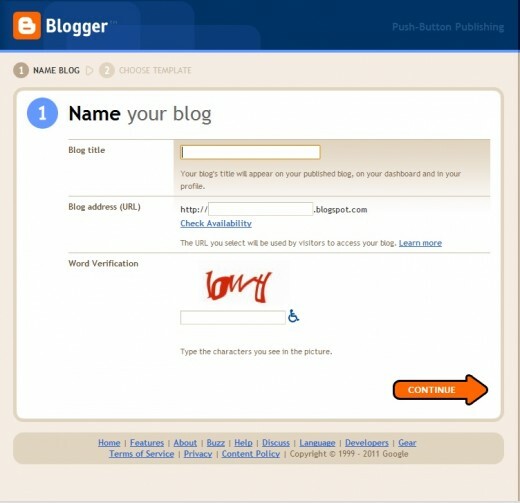 Go into Settings and add a description for your blog, remembering to use your main keywords again. The words you write in here will appear at the top of your blog, either under or in front of your banner photo, if you have chosen one. You have the choice of where to put your description, and viewers will be able to read this anytime they open your blog, from any post. The description is NOT a meta-tag. If you wish to add a meta-tag to complete your on page SEO, follow the steps below. I learned this from Bloggertrix.com and it works. Thanks guys! 5. After click Preview and click Save template. Blogger blog comes already set up for both Adsense and Amazon, so you will just need to make sure your accounts are linked under Monetize. If you do not have those accounts yet, then you can apply directly through Blogger, but I would wait until your new blog has some content first. So leave off the applications for another day. Concentrate on getting your content written, and some viewers, and I will be explaining how to publicize your blog further on in this article. Assuming, however, that you already have an Adsense account, you can do two things. Tell Blogger to automatically add adverts if you wish, and you will be offered a choice of where they are to be positioned. Just a couple of button clicks will put Adsense ads on your blog. Go over to your Adsense account and chose your own ads. Adsense Setup ~> Adsense for Content ~.Ad Unit (or Link Unit) and follow the instructions. You will have to add the name of your blog at some point and then you will be given html code of the advert of your choice. You do not get a choice of what is advertized. You can only choose the size of the ad units and Adsense fill in the rest depending on the keywords on your page. You can only add 3 ad units to your blog. Go into Design, and click on Add a Gadget. From the Add a Gadget widgets, you can add in any affiliate code you wish, whether that be Adsense,Amazon or another company like Chitika. It is probably a good idea to add a few posts at some point early on, especially if you have already added Adsense. Give the software something to work with! Just like on Hubpages, you can add video, photos etc to jazz the post up and give more interest to the readers, and remember to title each post with words that people might actually search for. Each post is a standalone article in a way. While you see your blog as a list of posts on one page, your visitor will more than likely only see the single post presented to him through the search engines. You can add Amazon capsules inside the post, by putting the code in while in html mode (there is an html button inside the text box), but it is much easier if you use the Amazon that comes integrated with Blogger which you will find under 'Monetize'. Your tags are called labels in Blogger, so remember to fill them in, separated by a comma. This sounds daunting but it is easy too. Go into Analytics ~> Analytics Settings ~> Add website profile. Now you are going to do some basic web promotion of your blog. If you look down the page, you will see a button called 'Atom'. Right click on this and open in a new tab. You will get a page of gobbledegook. No matter, copy the URL from the top bar and head on over to Feedburner. Now get yourself over to Twitterfeed and add your new feed there, this will ensure that anything you add is automatically sent to Twitter, Facebook and any other social networking group you are a member of. Then submit your feed to any feed submission site you can find. Sunforged has an excellent hub on RSS submitter sites. Now any time you add new content, it is going somewhere. You may not see it, but others will, and the search engines spiders will. YouSayToo is a site where you can add your blog and I find it gets readership too, so add your feed to YouSayToo as well. I've just nipped over there and added another feed, and all they need is the URL of the blog, and the space below for a feed automatically fills. You can also create an exchange banner on YouSayToo to promote your blog on other people's blogs, in exchange for placing a banner on your own. Again all you use is the simple Add a Gadget button and copy/paste the html. For more Blogger SEO hints and tips, check out my Blogger Blog. 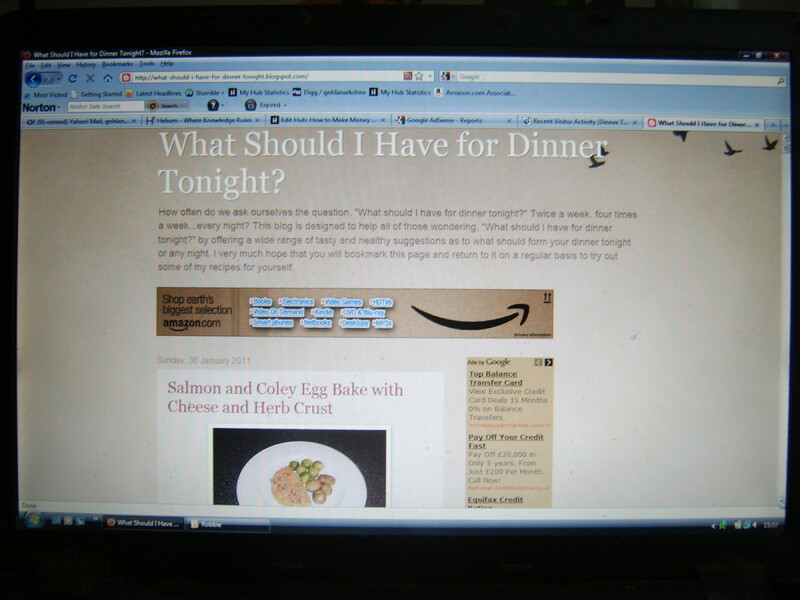 To do this in Blogger, go to Posting ~> Add a new page. Oh , that might be why i was confused , and Thanks ! Great info. Since I'm new to Hubpages and have never had a Blog, didn't know the difference, initially thought that Hubpages was a Blog(?) Gained some useful info. here. Thank-you! I have a feedburner feed but I didn't know about those RSS sites thing you mentioned and I haven't heard of YouSayToo either. I'll be sure to look into all of this. Thanks for the helpful hub. The thing about blogger is that you do have to keep adding to it. I let mine go by the wayside, but those I optimized still get better traffic than those I didn't. I'm thinking of starting a new blog about something I am passionate in, and am hopeful it should do well. You are more likely to update them if they are really interesting to you. Interesting info! I'm considering jumping onto Blogger so I'm doing some research to see how people feel about it. I hope all is still going well for you with your blogging endeavours! Good to know, thanks! There are a couple of 'how-to' blogs that I look up when I am learning something new. I haven't tried those particular things you mention, even on WP installations. are you aware that you can also swap the page titles around on Blogger like All-in-One SEO does on WP installations, and also set dofollow links from comments if you are so inclined? I haven't been able to get rid of the "es" so am just leaving it. It got automatically added. I added all the sites at You Say Too and joined some Spots but it looks like another of these sites where you have to spend a lot of time on it to do well and up your 'Reputation' as it says. I'll have to see what I make of it. YouSayToo have changed their format/aims/not sure exactly, since I wrote this hub last year. So I cannot say if they are good or bad now. I don't know what Google are playing at by adding the country ending to a blog. I fail to see how it can help a native English speaker. There is no evidence that it hurts either. Mine were .es for a while, but are now .co.uk since returning home, without me doing anything, and I haven't seen any change in traffic, even when it changed from dot com. Hi Izzy! Just voted up for this very useful hub! I have just taken your advice and joined You Say Too! Marisa Wright very kindly gave me a hand with improving my blog, now I need to keep adding new articles and getting the traffic. I don't think I chose the wording for the title of my blog very well when I first created it but it is a bit late now to do anything about that. A problem I have noticed though is that an ".es" got automatically added at the end so it is redirecting to Spain I assume as my target audience and this is a shame because it is all in English. Good post. Most people don't optimize blogger since there is no straightforward way of doing it like plugins in wordpress. This post should help many. OH well, guess I can relax again LOL. Hmm, I just did some searching too, and I can't find anything about it either. Maybe when the requirement for the Privacy page came out, people went overboard and recommended the Contact page too. I don't have my email address anywhere on my blogs - that's just an invitation for endless spam. So I do find the Contact form page handy, just in case someone has a serious reason for getting in touch. Nice work. Doesn't Google require a Contact page as well? Looks fine to me so long as you wrap it up in the rest of the html as shown. I know you can't quote it here, as neither could I when I tried to put it in. Remember to save your blog template first, in case it goes wrong. If when you put it in, you get an error message, exit without saving and go in and try again. Don't save the error or you could lose your blog. All I do is copy/paste the exact formula in, as shown above, then change the blog description tags to relate to my blog. 7 years ago from The World Of Making The Assumed Impossibilities Possible. Hello IzzyM, I don't mean to disturb you please but sometimes I kinda doubt my accuracy when adding blogger META TAG. Please check, is this the correct format? And how about using commas and periods? Thanks for your help. yes you need the spaces but take away the  symbols. This is the bit the search engines will pick up so just put in a short sentence describing what the bog is about, containing your main keywords. Should I follow the line break and the spaces while changing the description? I just tried going over to yousaytoo myself and can't get in!! it does say "oops something went wrong" and to try again later, so it looks to me like the site has issues just now. Maybe wait a few days and try again. I know yousaytoo are undergoing site changes just now because they emailed me to tell me, so it may be that and temporary. I am trying to add my URL from hubpages to YouSay Too, and it keeps saying "returned error".. I even tried to create a tiny url..can you help? Great. Thanks for the clarification and all your help! I appreciate your no-nonsense attitude. This has been so encouraging. Gosh I did say tags didn't I? They are important too, but I actually meant meta description tag as outlined above. It means messing about with the html, and I believe you are supposed to save a copy of your blog first in case it all goes wrong, but I never have and its always been OK. That does the same as the summary box does here on HP. 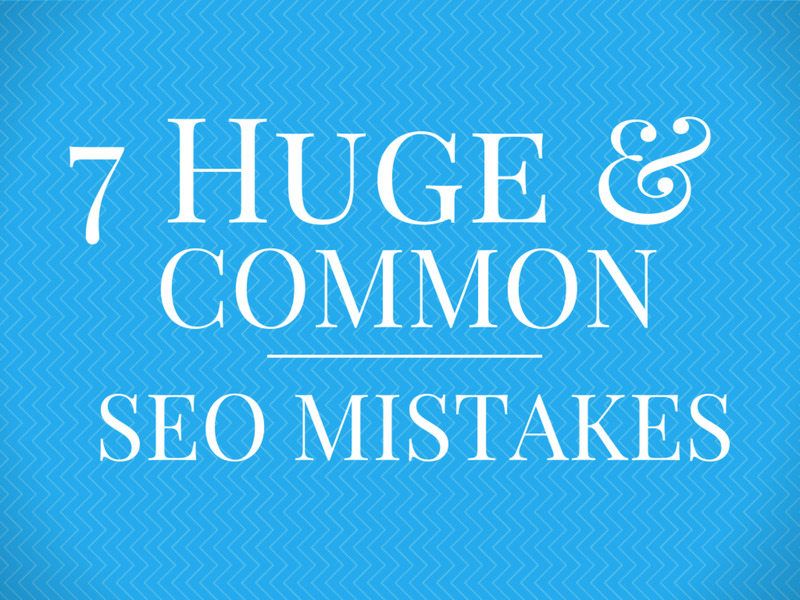 It is incredibly powerful to use for SEO. The rss feed seems daunting, but it isn't really. After the first time, everything gets easier. Thanks, IzzyM -- I've been adding tags to each post -- is that what you mean by description tag? I'll set up the rss feed next -- I've never tried that. Inspiring to read about your results. I figured out how to change my Blogger URL, too. Another mystery solved. So glad I found this hub today. I read Google webmaster tips and wanted to use meta tags and submit a sitemap with Google and found out I can't do that with HP, so I got motivated to work on Blogger. I've always worried that I wouldn't be able to get traffic -- you're making this much less painless than I expected. Hey Para...put bit of effort in, especially setting it up and focussing it properly, and it will pay off! Hikeguy, you are welcome. It is well worth adding in the description tag and setting up the rss feed. Then you know that every new post is getting a boost right from publication. I have it set up and within an hour of publishing new posts I get organic traffic. Thanks so much. You made my day. I did it, and created a new post. I appreciate your help -- I'm juggling multiple projects and get overwhelmed. Thanks to your friendly hub and help, I made more progress on Blogger today than in all the months I've had that account. Excellent information. Thanks for breaking this down and offering your insights on how to use Blogger. Thanks for the user-friendly guidance. The last I looked, I couldn't find any way to change my user name. I started an account with a different pen name, and it's linked to my gmail account, Adsense and Analytics, so I'd like to change the name instead of starting a different Blogger account. 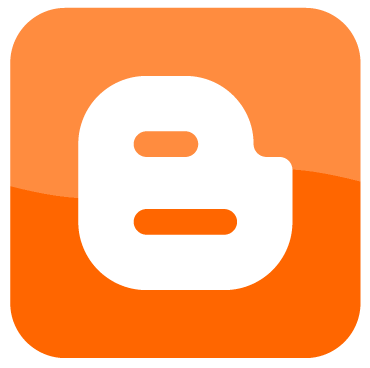 If you have time, could you tell me how to change the name on my Blogger account? Thanks, either way. Voted up and Useful. Thanks! 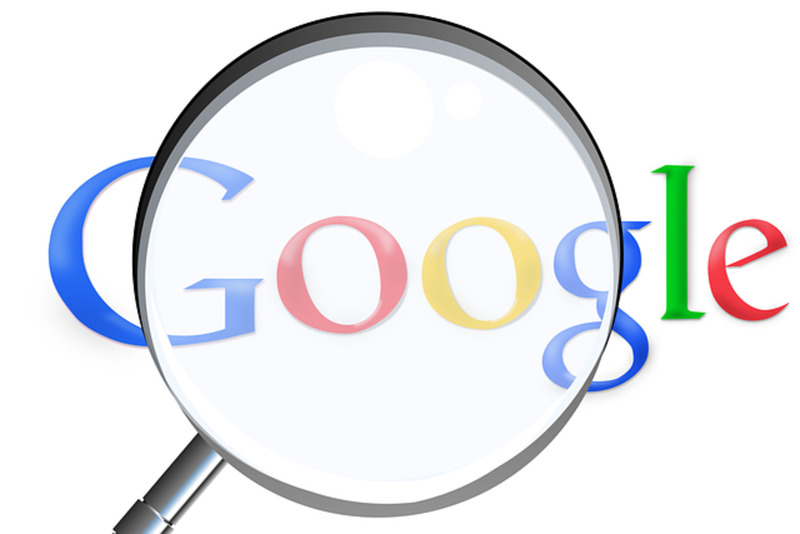 Its a good place to publish just now too, seeing as Google seems to be favoring their own sites! Awesome overview of Blogger! I love how you've broken everything down so people can find what they need. Great resource. I only fully optimized a couple of my blogs and they are doing OK but I've let everything slide recently with this Google slap here. Need to get motivated again! You need to work on your English, your paragraph doesn't read well. I think the old rules stand firm. Find a niche, write about it, and follow through with all the things I have mentioned above. I have a lot of blogs, but I only promoted a few as above. Guess which ones get traffic? Use HP as a testing ground. More importantly, pay careful attention to the search terms that brought someone to your hub. You'll find them under the individual hub stats if you don't use Analytics. Write around those terms. Promote around those terms too. Was that what you asked? Hi Izzy-- I have a quick question, now with the "new" interface on blogger, what do you think is teh most important thing to think about when you are writing there? In this case, I was able to figure out which of my many posts preform the best, and this way I can do a bit more monetizing of my blog... well better at least! You do mean wordpress.org? I like both platforms actually although there is more freedom in wordpress. Although Blogger is good in the sense that you can monetise for free. I do prefer Wordpress. Blogger is a great place to start though I must admit. Didnt know about YOUSAYTOO. Thanks! Blogger is a really powerful platform if we use it right, and you Say Too is a great site for sending viewers. I haven't heart of You Say Too. I will have to check this out! Thanks for the great tips! Haha you are kidding with me, right? Excellent Drumweaver, and thanks for linking here too - I have now changed one of my blogs and will get the rest done bit by bit :) Thanks again! with some further searching via the link you suggested i finally found one way to "blank" my links... tho' doing this blanks all links.. but i think for me, it's better than not having.. tho' i also think this option is a personal preference.. Excellent ,beautiful, informative and up by all standards. Blogs are very interesting to write. It is away one can express himself/herself. To earn income from Adsense then the blog must attract a large number of people. You mean open in new window? I just checked and you are right, the option isn't there. I think it will be a change in the html code to do that, but I'm not sure what that code is - someone posted a code here on the HP forums recently because HP links no longer have the option of opening in a new window or tab either. Either that or check here - http://blogger-hints-and-tips.blogspot.com as I find this site to be excellent for blogger help. when you make or create a link on your blog page - a link that would go to another website - what happens now is when someone clicks on that link, you're directed away from your blog to the new website page (which was the blog page). I want to know how to make that link open to it's own separate page... so as to have the original blog page stay up.. i hope that makes sense or explains it better..
Can you explain what you mean? You've lost me, sorry! You're very welcome,guys:) Most of this hub is aimed at the complete newbie, but using the rss feed is an advanced feature that really should be set up because it makes such a difference, as is adding the meta description tag. This is really good to know I just started writing on a blogger blog and it is fun. Thanks for this, I have had A Blogger blog for a while and although I have already done most of this, it was still very helpful! I would highly recommend optimizing them as outlined above, as well. I have only optimized a few of my blogs (because it is so much work), but every single one of them are on page 1 of Google for their keywords, despite not yet having huge amounts of content. Great information! I have been debating about what "other" place to start a blog besides Hub Pages. Thanks, good to know! You're welcome Nell! I love my blogger blogs they are so easy to write and look really smart and professional these days!! No idea sorry. Tried Googling it? I found the problem on my blogger template, when analyzing the backlink watch, there are the words "This is the which means no blank Anchor text found for this url so PR + + FLAG OBL would not be checked." how to solve it.? Wonderful explaination, terrificly useful. Bookmarking, up and useful. Well you know blogger is keyword in title too in that the keywords come before blogspot.com, and not after like on HP or other sites. I have sites too, I just find Blogger really easy to rank. One of my new blogs - less than a month old - is #3 in Google, and that is only optimized as above and not backlinked. Those keywords are "simple seo techniques". I bookmarked this one and voted up. I have a blog that I don't really pay enough attention to, but it's all pretty much me blathering. I'd like to set up a blog that actually offers some helpful or interesting info, the kind of thing that I would actually look for but wanted to just mess around with one first. I'll have to check out your blog for some tips. You can be my blog guru! myi4u, I fully understand and a blog full of a range of topics can still be great. Just make sure each individual post has a search friendly title and you should be fine :) I would also suggest that if you find one particular post is getting more hits than others, then that might be a good idea to write a brand new focussed blog around. Great hub! I always try to follow these "rules" but I can't seem to find a topic to focus on my blog. I tend to write just about everything; tech, news, personal, daily stuffs and more. Some people say that the loss of focus in blog could not attract enough readers. While I agree with that, I just can't afford to have different blogs for different topics that I want to talk about. I tried wordpress once but never used blogger. I ended up creating my own blog using flatpress instead. It gives me more control but the problem of having my own flatpress blog is I just don't have the time to keep up with flatpress updates. Great! Treat blogs like hubs and have one for each keyword you aim for, if you like. Lot more writing to do, but you have the freedom of control over what you publish. Good luck! Just created my blogger account and your hubs will come in really handy. I was oblivious about maximizing RSS feeds. Thank you! Great info. I am already on Blogger so now need to go back and promote. WTG, Case1worker!! Have you done some basic promotion like I said above? You'll want about 5-6 posts before you post your feed. Honestly, it is well worth it. Add it to your HP profile too for the link juice. @Conner - that would be a complete new hub, thanks for giving me the idea. izzy- just followed your instructions and I have a blog! honestly these are great and even technically compromised people like me can do it- thanks for the clarity of your explanation. How about some tips for writing an article? Peg you are welcome, but if you make the changes to existing blogs, or start all new blogs as above, you will see a huge difference in viewing figures, and this is without backlinking or other similar web promotion techniques. So glad to find this information here. I'm bookmarking this hub for reference and further study. Thank you. Yes they really have to be as specific as successful hubs nowadays to get a return on them, so you're much more limited on what you can write on, and you need to put up a lot more content. Having said that, you have to do all those things with your own sites these days too. The one I have mentioned above, best selling books UK, has an unlimited supply of future postings because there are always new books coming out, and the way I have set it up should more or less guarantee it some readers. Getting to the top is another thing and would require a high quality backlinking campaign at the very least, but there just aren't enough hours in the day for me to do that too. I tried Wordpress.com (if that's what you meant) and didn't like it. But your own Wordpress web site has the advantage of a 'keywords in url dot com' which blogspot can't compete with. Excellent information from you. There are many blogging machine out there. But blogger is still the best. You taught us very well. I learn much from you. Thank you very much. Rated up! Not an expert in this, but feeds do by their very nature have to pick up the exact words written in your blog or hubs, but its not a complete duplicate because its not the whole article, unless the piece was very short in the first place. Look at news feeds, where a news story is replicated in its entirety across thousands of sites, yet there is no penalty for any of them. In fact if anything, news sites are awarded higher status than most other articles. I have loads of hub feeds out on the web somewhere and have never had an issue with them being considered duplicate at HP. The search engine spiders see them which is good.